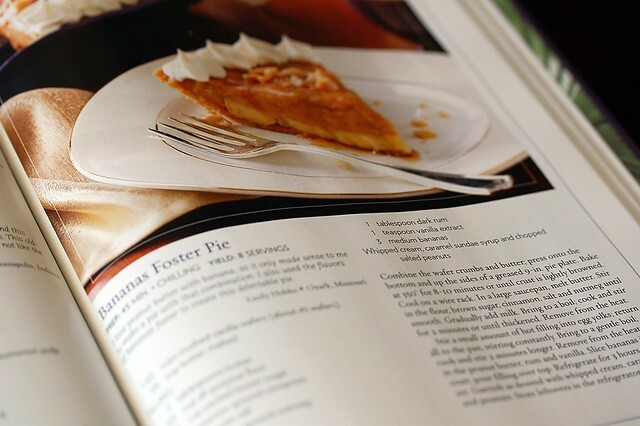 Melt 1/4 cup butter; stir together melted butter and crumbs until well combined; press into a 9-inch pie plate. Bake for 10 minutes; remove from oven and cool. In a large saucepan, over medium heat, melt additional 2 tablespoons butter; cook for 2 minutes, stirring frequently, until golden brown. Whisk in milk, brown sugar, flour, rum, cinnamon, ginger and salt; bring to a simmer, whisking frequently. Whisk egg yolks together in a medium bowl, and gradually whisk in half of hot milk mixture until combined; whisk the egg mixture back into saucepan containing remaining milk. Heat mixture, whisking frequently, until it just comes to a boil, starts to thicken up, and coats the back of a spoon - about 1-2 minutes; strain into a large mixing bowl. Stir in peanut butter and vanilla until combined.. Cool bowl over an ice bath for 10 minutes, stirring occasionally. 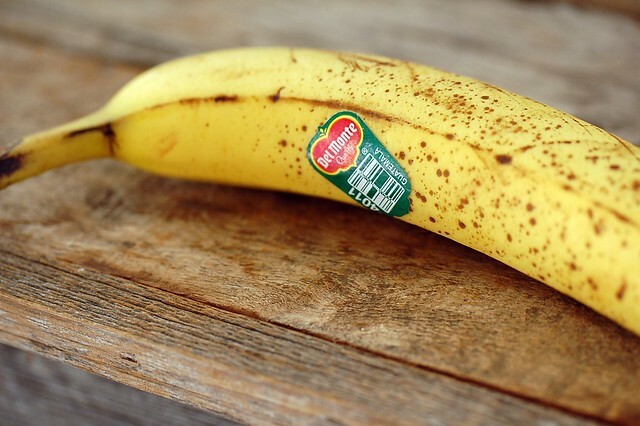 Peel and diagonally slice bananas 1/4-inch thick, and layer into bottom of crust. Pour peanut butter filling over bananas, lightly cover, and cool completely in the refrigerator, about 1 hour, or until ready to serve. When ready to serve, make the whipped cream: combine heavy cream and granulated sugar in a large mixing bowl, using a mixer on high speed, and beat until stiff peaks form - about 1-2 minutes. Spread or pipe whipped cream evenly on pie. Sprinkle peanuts over the top, drizzle with caramel syrup, and serve. 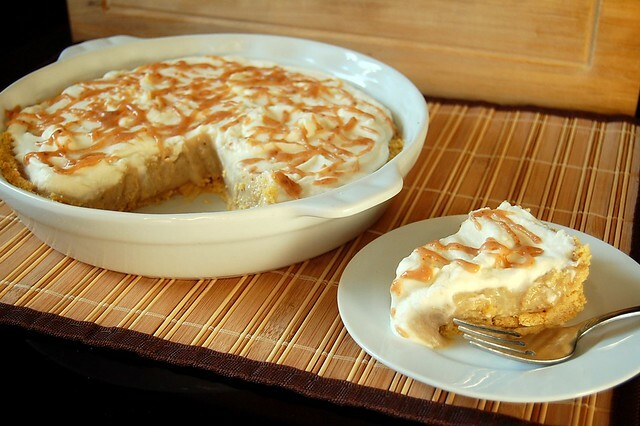 23 comments on "Bananas Foster Peanut Butter Pie"
every single thing in this recipe i adore! and this pie w/ PB too...WOW! Excuse me? I'll take the whole thing what. Yes, I'll eat it all at once. This looks toooo good. I love Taste of Home. How neat to be in the book, I'll have to get it now. Hope you and your family have a wonderful Thanksgiving. congrats on getting published!! sounds like a winning recipe to me :) bananas, peanut butter... heaven. Totally in heaven with this one! I've had a serious addiction to anything bananas foster lately, and this looks amazing! what a good idea for a pie, plus a good departure from the norm. Happy Thanksgiving. Dark rum!! I highly approve!! So what you're telling me is that you're a rockstar? I knew that already. LOVE this pie! I totally live on the edge also...I'm a spur-of-the-moment type of baker. 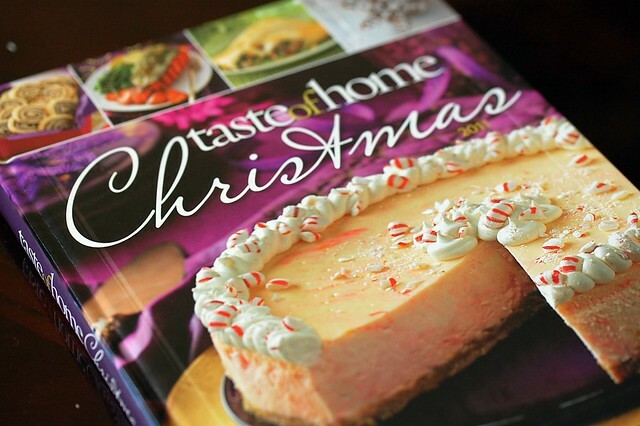 Looky you all published in a cookbook! Awesome. What a great pie - and don't ever say it's not pretty! So many of my favorite flavors there. I love that you're playing your t-day desserts by ear. I can't wait to see what you come up with! That's a mean pie! It reminds me of the classic lemon meringue pie which I love so much. 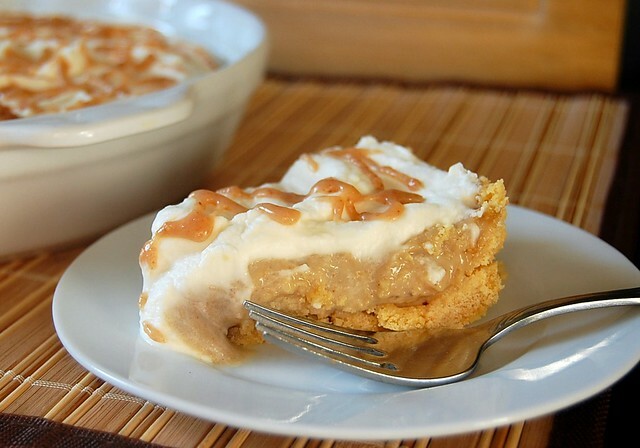 I think I'd put meringue on this PB pie too, I just can't resist! This sounds sooo good. I love bananas and peanut butter together! Congrats on being part of a cookbook! This looks amazing! Anf congrats on your published recipe! congrats on being published in a cookbook! it looks delectable!! Two of my favorite things to be combined is peanut butter and banana making this recipe a must try. Congratulations on being featured in a cookbook! That is awesome! The pie sounds and looks incredible! I have never had bananas foster, but that doesn't matter - I know I would like this! Send me a slice of this, please?!?! Congrats - that is soo exciting. I love TOH. This sounds absolutely amazing. I love the combo of peanut butter and bananas. 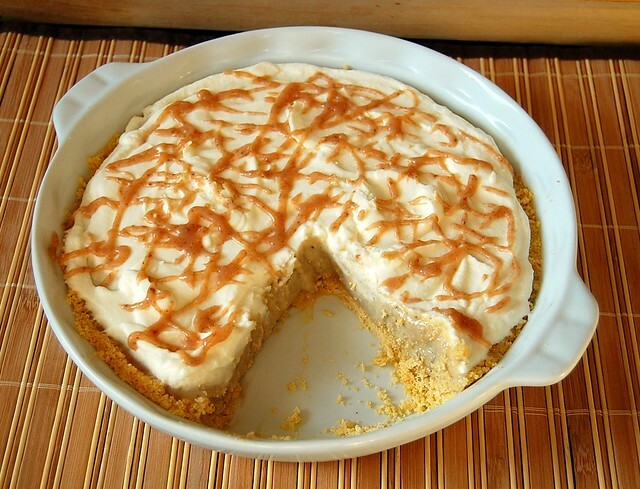 The thick graham crust and whipped cream just make this perfect! This looks so scrumptious. Congratulations on being published.